I nabbed the season pass code, thanks man! Is that skin available yet? with big hairy chest and/or mullet? Ultimate edition announced, which will also be on PC and PS4. Xbox One version was not part of the announcement.  Also, a little surprising since we're still short 2 DLC characters. Batman v Flash on the cover, Batman either looks like he's got a GL ring on or his armor is Kryptonite laced? Theres no GL logo anywhere so I am assuming the latter. Cool, can't wait to pick up the complete edition that will release a year after the regular game! I'm guessing that the odds of this coming to PC are pretty much zero, which is a shame because I'm kind of curious about how hard it would crash and burn if they did port it over. MKX ruined a lot of the good will that Netherrealm had. Flash's outfit is glowing also. I don't think Batmans is GL or Kryptonite either one. I think the green is just a stylistic highlighting. Much like Arkham Knight, wernt MKX's PC trubs more Warner Bros. fault? Yeah, I'm pretty sure that Netherrealm develops with the native console being the 360(older games) and XBO (new games). Then Warner Bro's Studios handles the PC ports. And this is true for Arkham also. Rocksteady develops for console and WB handles the PC port. And in both instances they royally screwed the pooch. So badly in fact that Arkham Knight was permanently canceled. But neither of those were the fault of NR or RS. Of course, one could also argue that those companies should be responsible for their own porting. Hopefully the original is added as BC for Xbone. That and MK9 would be amazing to play again. Whoa! Was that Red Hood/Arkham Knight... or Batman Beyond? BRYAN CRANSTON IS LEX LUTHOR!!!!!!!!!!!!! Edit: Well, Cranston is rumored to be Luthor, but the in the trailer he's talking about "pits" and being "reborn". Ra's maybe? Upon rewatch it looks like just Batman's helmet. I was confused because it's after Supergirl shows up. Goddamn! That trailer hyped me up for the game. The armor stuff looks sweet, and goddamn Bryan Cranston! Still gonna wait for the inevitable "complete edition", but I will most certainly be buying the game as soon as that version is available. Ooooh this looks so good. Just going off the trailer anyhow. Is the entire roster going to have Iron Man style armor suit up sequences? Yeesh. They're lucky it still looks somewhat cool. Superman doesn't even need a suit! If anything it seems like it would be a net loss. Just a thing restricting his movement. At first it was like... Batman, OK. if anybody needs one to even the odds, it's him, and it's hardly the first time he's done it. Then the Flash... well OK, maybe he could use reinforced soles. Supergirl... right, ok, some animator has gotten punch drunk with this now. which could be a cool thing in a fighting game! Or a really annoying thing. Yeah, I have reservations about that. On the one hand, a progressive fighting game could be really cool and and offer a lot of single player content. On the other hand, depending on what random equipment you get you could end up with a Batman that looks like those horrid Batman "variant" action figures when you just want to see a regular Batman. The whole game could end up looking like a collection of all the Toys R Us peg warmers fighting to the death. Wait, maybe that sounds amazing. Please don't have stats and fashion combine. Xenoverse did that and we all hated it and just wanted to dress up in the costumes we wanted. I've been playing Diablo 3 on PS4 and that game does it right. The appearance of any armor can be changed so that you can look exactly the way you want. You can even apply a vanishing dye so that you can wear an invisible piece of gear. Do it like Soul Calibur and do customisation for single player. Online, costumes should just be cosmetic. Really the best way to do it is to give people options. Id be okay with having "unarmoured" modes as well for those that want to be pure about it. 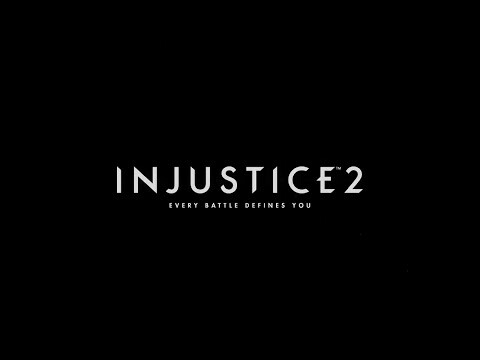 So Injustice 2 is going to be like a superhero RPG/fighting game hybrid? That's kind of exciting I guess. I really like those armor designs in the trailer. Figured it was just going to be like a stance switch button to activate the armor, but this could be interesting too. Wonder if this means less alternate costume DLCs. I'm betting your armor loadout replaces the button that gave you weird advantanges in the first injustice. Coming from SF/KOF school of roundhouses and what not, I never was able to grasp how you do combos in Injustice. I think I'm just used to smashing 2 in 1s...I really should finish up the Injustice Story mode. MK combos are all about set-up, so you leave them vulnerable to the next move. Batman and Batgirl both had insane setup moves. My favorite was Nightwing because he had the Sticks and the Staff stance. Batman had at least one super broken combo, that when executed properly would Full to Dead you in a matter of seconds. I'm really bad at reversals and combo breaks, so I lost to Batmans a lot. I think it was maybe Green Lantern who had a similar combo chain that was just utterly ridiculous. Green Lantern and Aquaman dominated the game because of their insane range.